Tsukiko had always been sensitive to her surroundings, the prickle of a colder wind that meant winter was on the way or the aroma of the first tiger lily blooming in the summer. Tonight felt the same. It wasn't uncommon for the mountain to be quiet, but what engulfed her senses was complete silence; something that made the spring air heavy and sick. 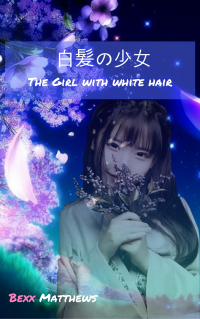 In just a few moments the moonlight would rain down upon the dried river, where Tsukiko sat cross-legged, in deep concentration. This river was her clan's main source of water, and she had been sent to discover what had caused their water well to cease working. It had been a difficult trek uphill and the lure of the pristine river water had been the only thing that kept her stiff muscles from continuing to move. When she had come across the dry riverbed, exhausted; the tears of frustration had escaped before she could stop them. Afterwards, she had decided to meditate on what to do; leading her to where she was now. What could have caused this, she didn't know, but her clan was relying on her to fix it. She checked her breathing and tried to focus again on her meditation. If the river had been blocked further up from where she was, then she could keep trekking up and try to solve the problem that way. But if something or someone had done this deliberately, then she would have to fight; and that idea didn't appeal to her at all. Oto-san had trained her older brothers and herself since they were children, but she was the only one who had never used her training. Bexx Matthews is accepting feedback on this chapter.